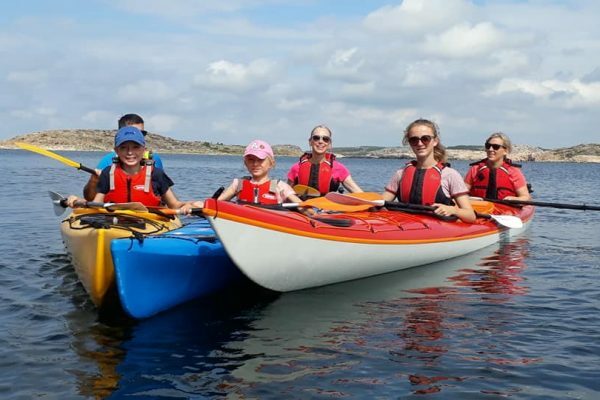 Welcome to a relaxed or active weekend with great accommodation with great ocean view and access to kayaking in our magnificent archipelago. 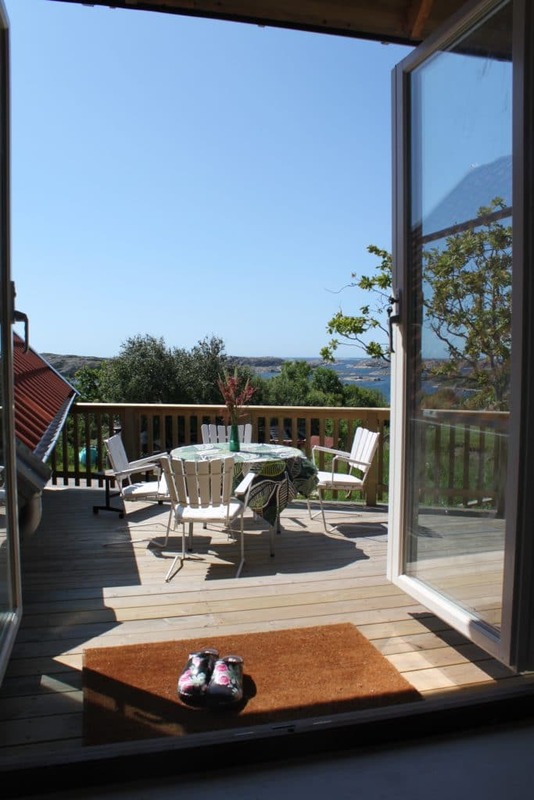 The package includes accommodation in genuine coast cottage and access to fully equipped kayaks and outdoor bath. 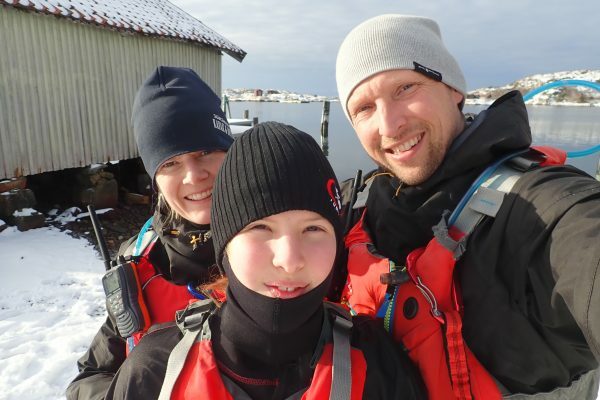 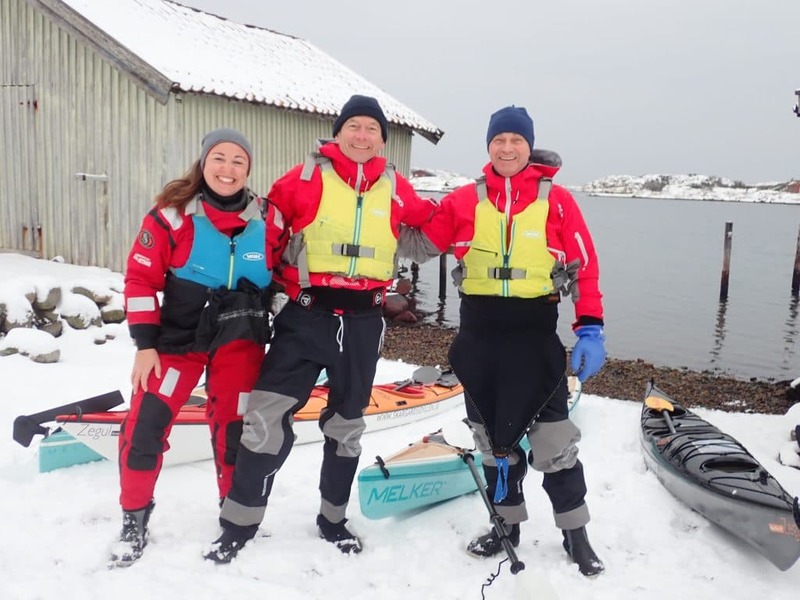 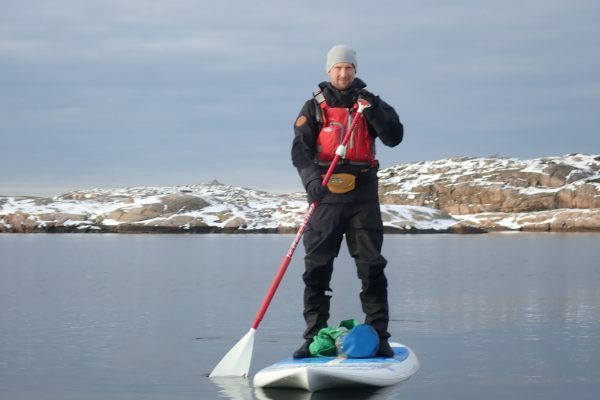 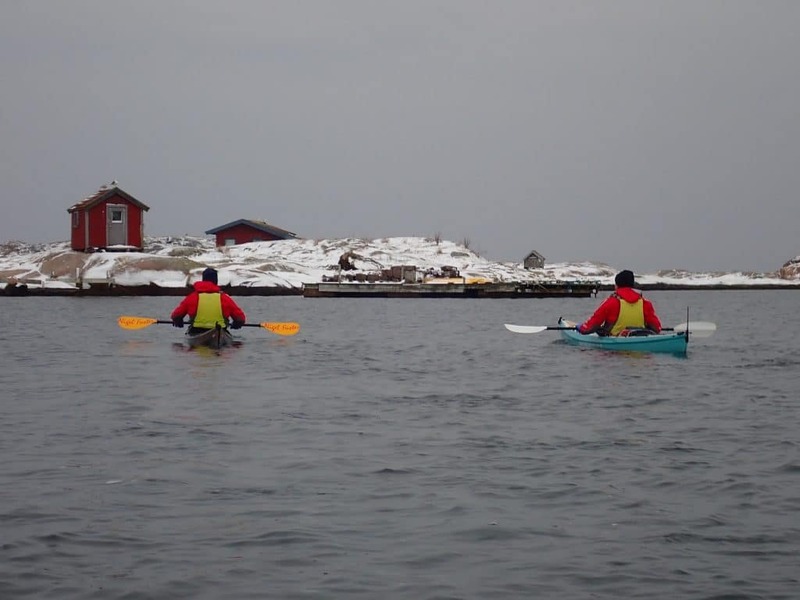 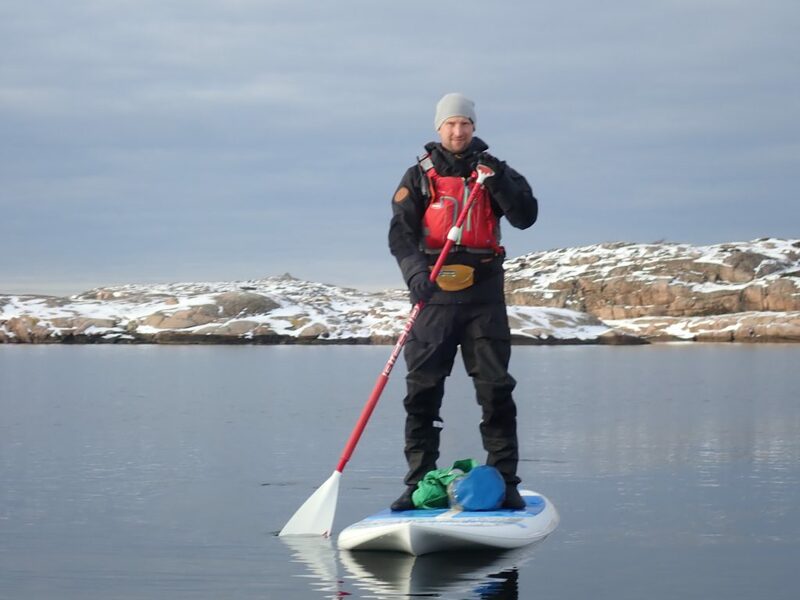 Paddling in wild in the Sweden’s kayaking paradise according to CNN. 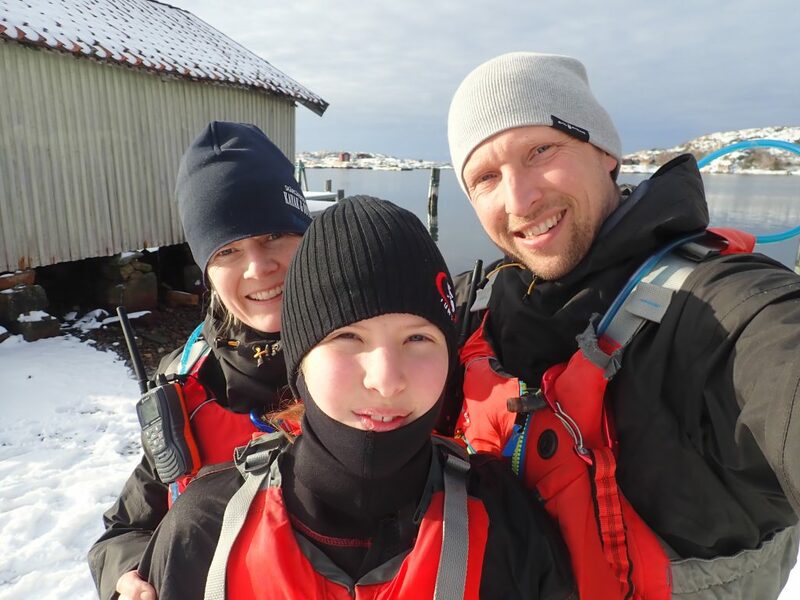 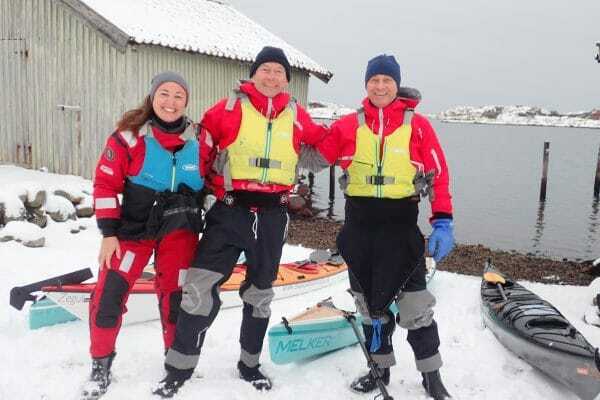 When the water temperature drops below 10 degrees Celsius we can provide you with dry suits and guides. 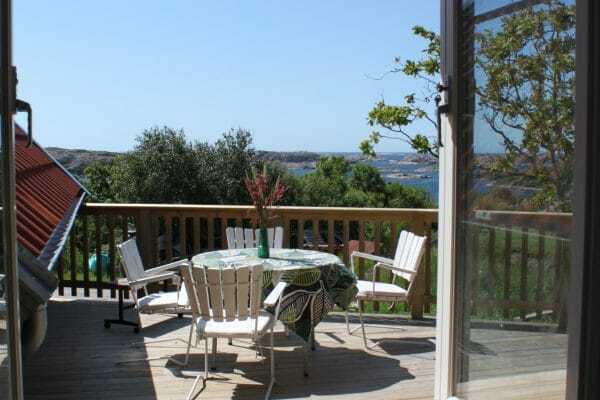 We offer a unique holiday home, situated 150 meter from the ocean with a magnificent view of Kosterhavets marine national park. 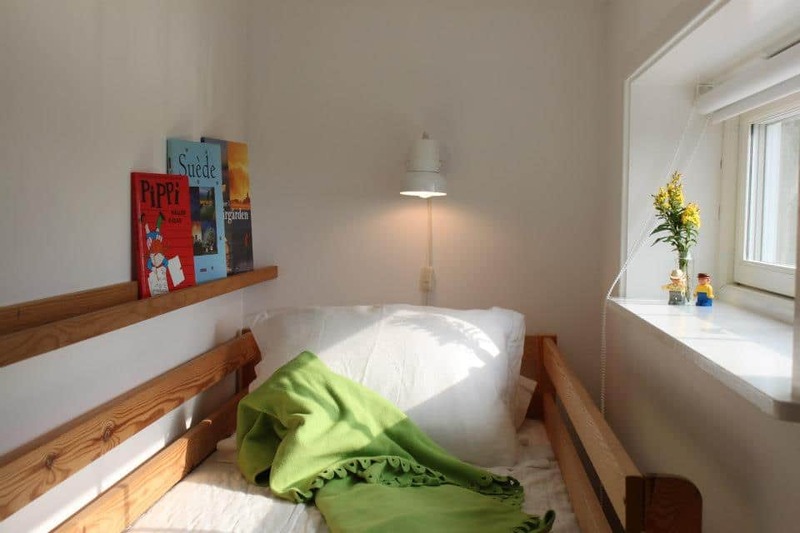 The house is planned and designed for comfort and relaxation. 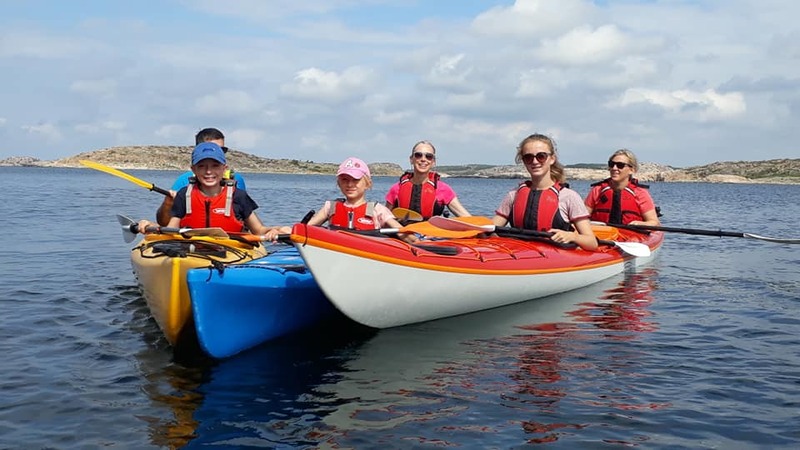 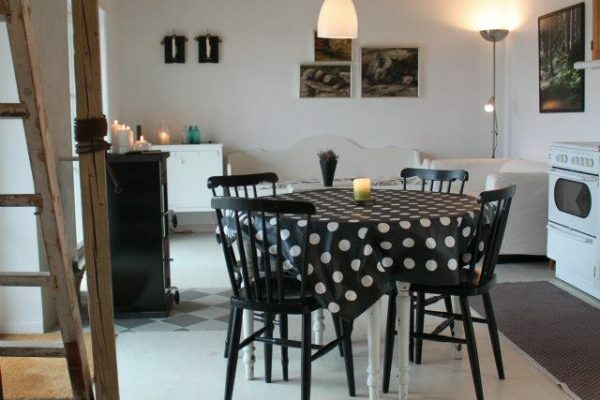 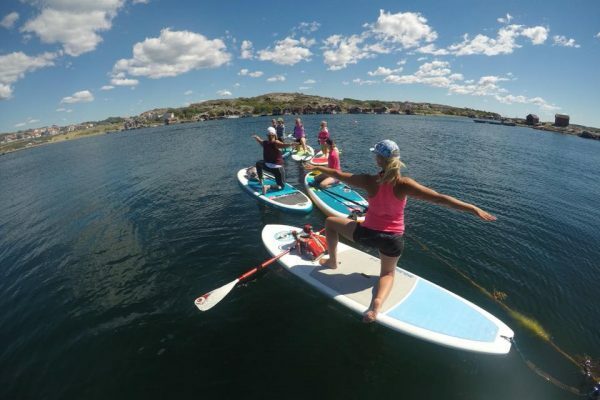 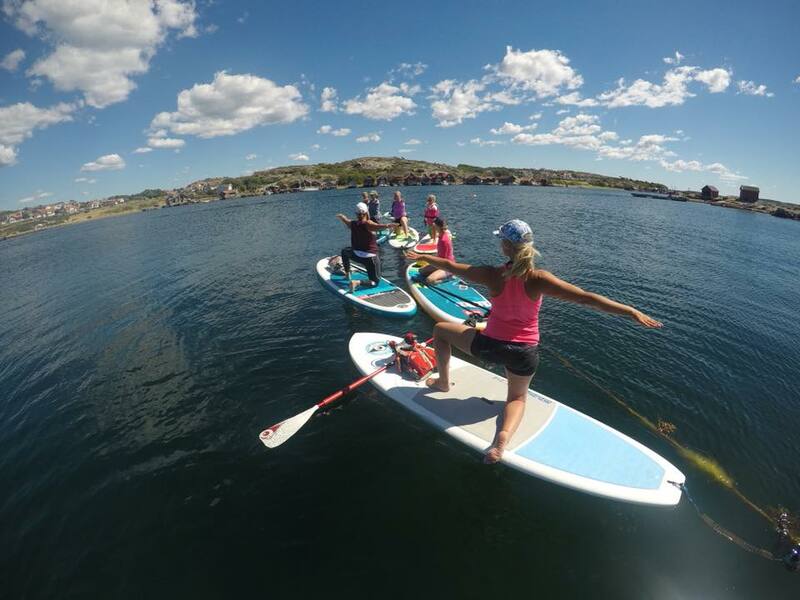 Right next to the house you can explore the famous Bohuslän rocks and just below the house you find the waterfront with kayak rental and boat trips. 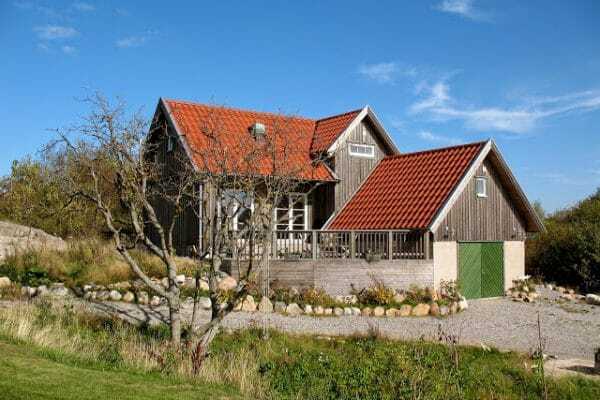 The holiday home offers a fascinating and comfortable living in an open room solution where living room and kitchen meet each other. 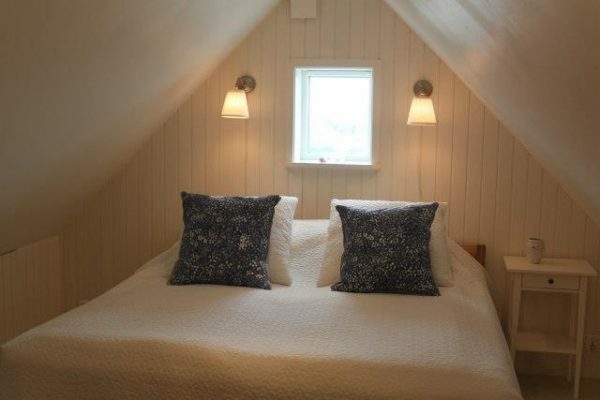 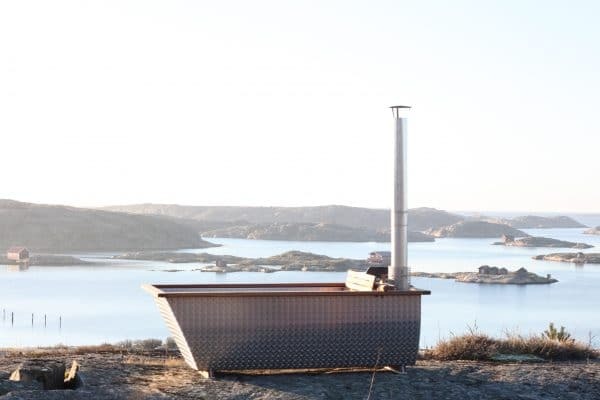 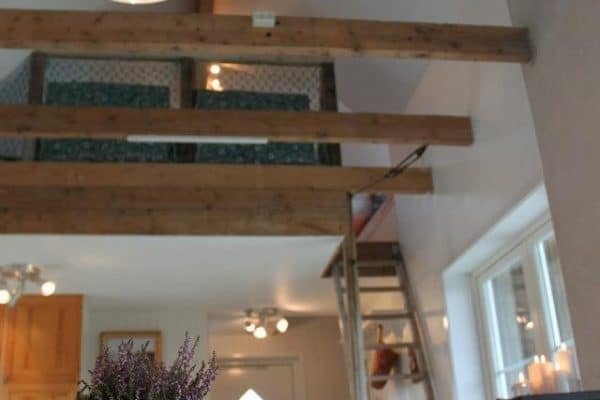 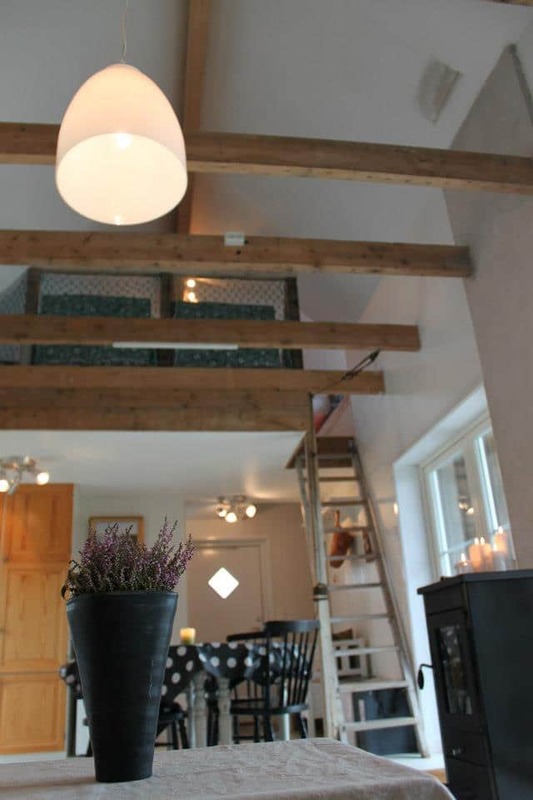 It has two bed lofts under the roof, a niche for sleeping, WC and shower. 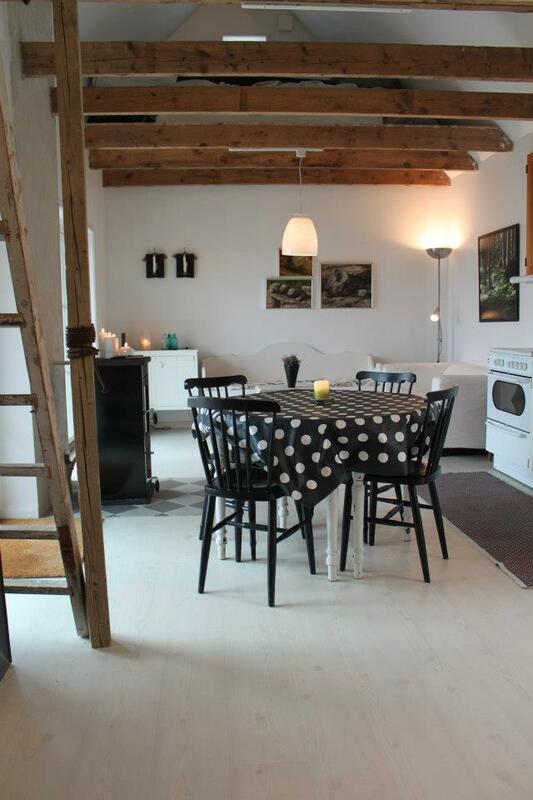 If the sky is grey light some candles in the romantic fireplace and enjoy the company of your dears. 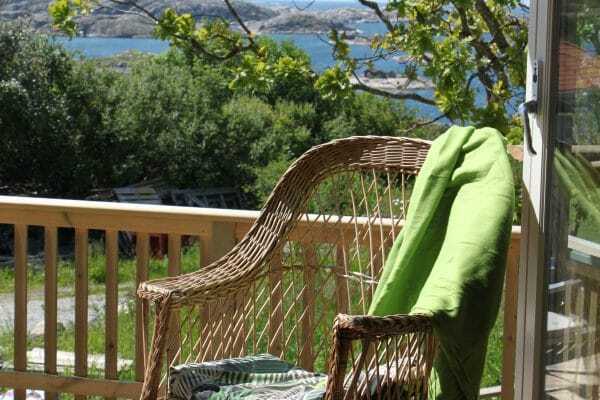 Most of the time the weather is fine and you can make use of the beautiful seating areas around the house and you can move with the sun until it disappears in the evening over the sea. 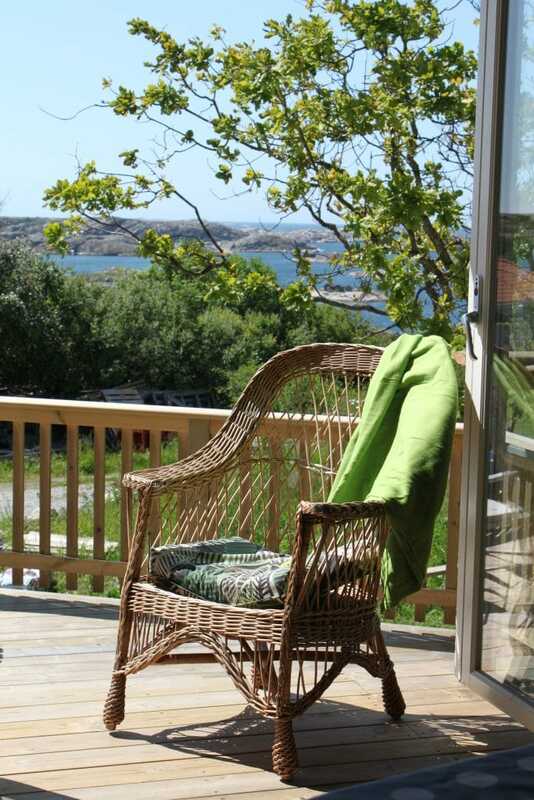 Just below the hill from the house you find the waterfront and beach from where you can take your kayak that is included in the price and explore the archipelago. 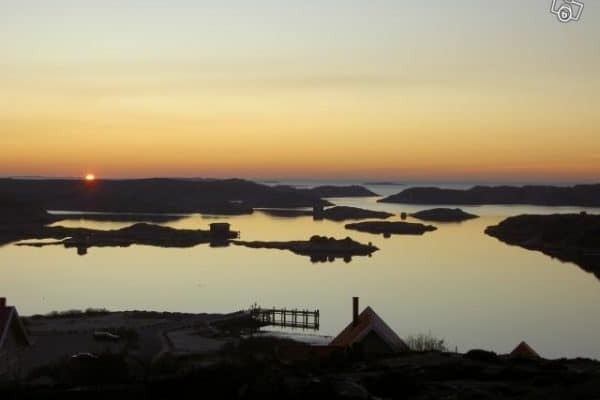 It is about 11 nm to the famous Väderöarna, magnificent Morö and many other nice islands in Kosterhavets marine national park. 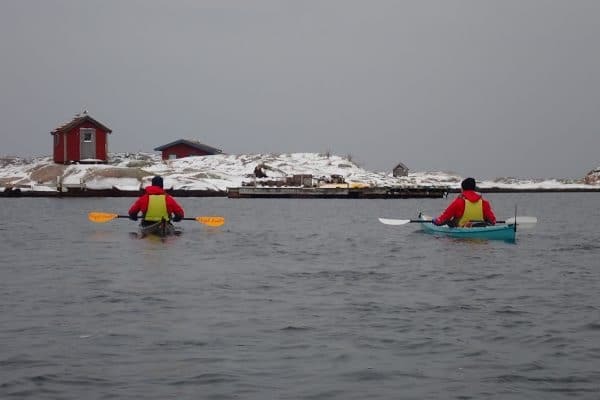 We also arrange courses in kayak, sup, yoga arrange boattrips and other activites. 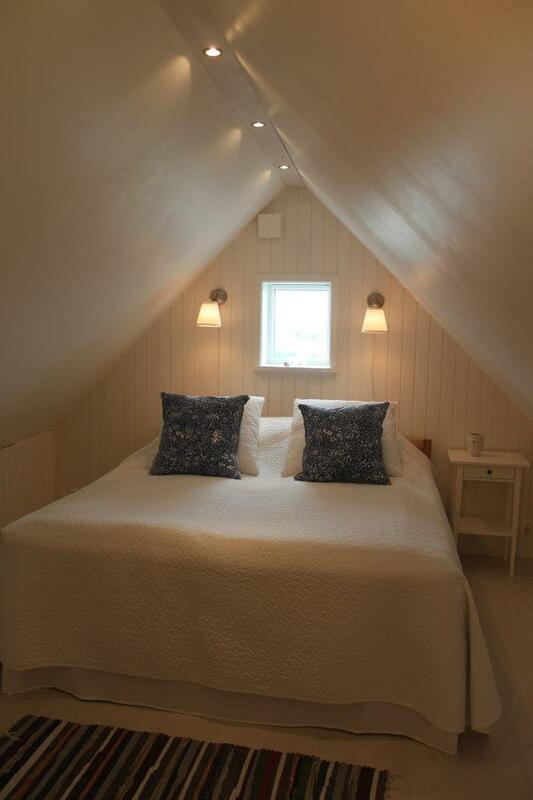 Just let us know and we will be happy to help you tailor your visit. 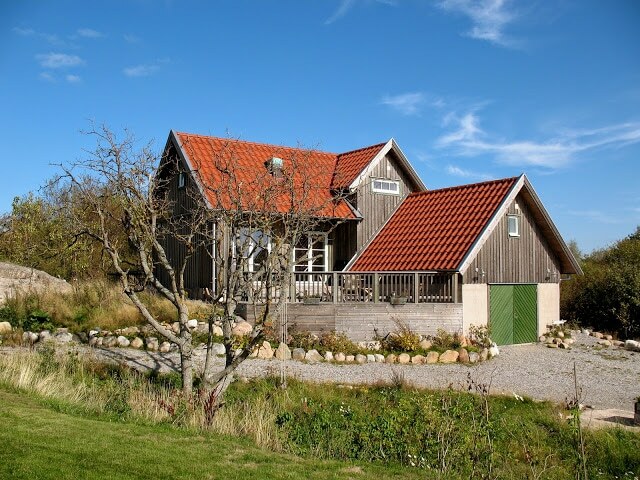 You will find more information and pictures of the house here! 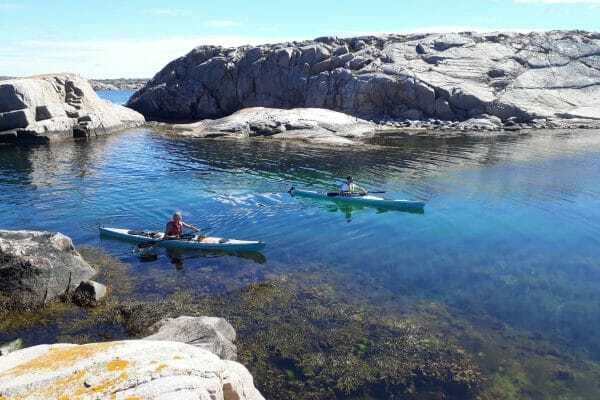 During the summer we only let our guesthouse minimum 7 days but we cooperate with a range of hotels, hostels, B&B and campsites so just contact us and we would be happy to help you book your kayak weekend.